Flagship Check-In offers customers a private experience with customer service representatives who can assist with a variety of individual travel needs, as well as access to an expedited security line. First Class customers traveling onboard an international American aircraft or select oneworld alliance international aircraft anywhere in their outbound itineraries. Flagship Check-in service is also offered at LAX, Miami, and London Heathrow. Construction on a Flagship Check-in area at Chicago O’Hare is already underway and is set to open sometime this Summer. This “flagship” lounge seems like any Delta Skyclub or United lounge. It doesn’t seem to be offering many advantages. Am I missing something? @ WanderingEntrepreneur – It’s not a lounge, it’s a VIP check-in area that also offers access to an expedited security line. 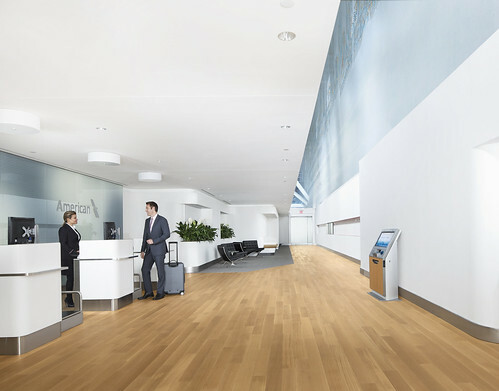 Flagship Check-in offers a more concierge like experience than your typical first class check-in counter. It also offers more privacy. It’s not uncommon to see celebrities and other high profile travelers using the Flagship Check-in area at LAX.